These days many illustrators not only do the work of an illustrator, they must also do the work of a designer. Particularly when it comes to creating their business stationery and promotional mailers. Becoming familiar with the functional aspects of print materials, which would include basic postal regulations and limitations, can greatly benefit an illustrator who must design their own stationery. Printers will usually provide resources and design tools to help with the preparation of files for printing. And each respective company has their own standards and resources, such as templates. There are subtle variances of size, file resolution, and even acceptable file formats between one provider and another. For example, one vendor’s postcard may be 4.25” x 6”, while another’s is 3.85” x 5.85”, and a third’s may be 4” x 6”. And one vendor may accept jpeg and tiff files, while another only accepts PDF files. So, to receive the highest quality print materials always follow the directions provided by the vendors. Business stationery dimensions for the most part are standardized. 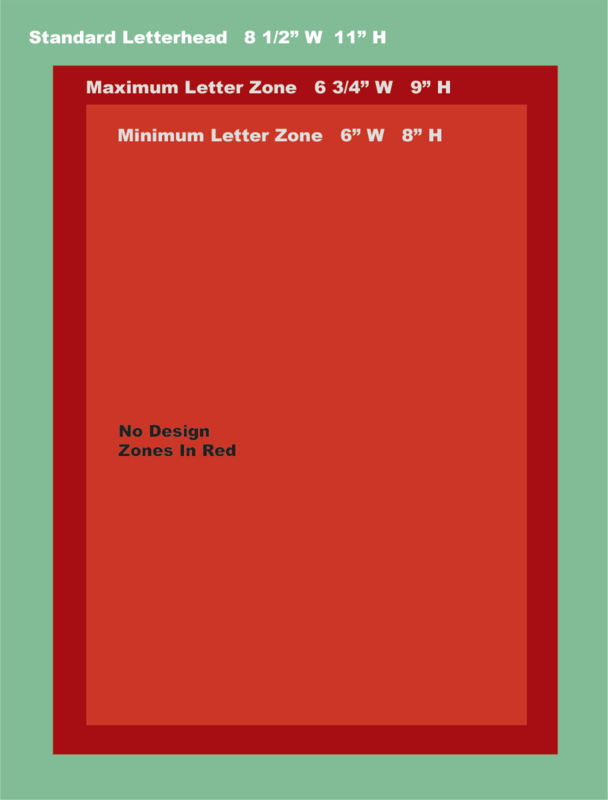 US dimensions are 8 ½” x 11” for letterhead, 4 1/8” x 9 ½” for a #10 standard business envelope, and 2” x 3 ½” for a standard business card. 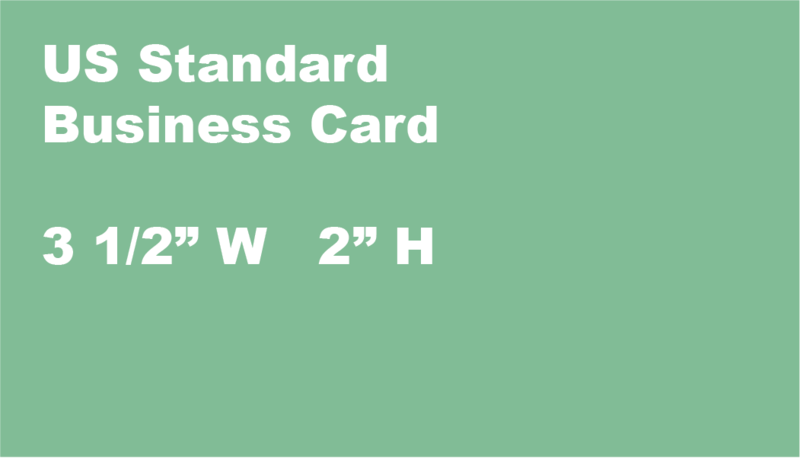 However, many businesses have begun to adopt the European size of 2.165” x 3.346”, which is like that of a credit card. First and foremost, the most important consideration when designing a postcard or an envelope is that it has to work, and to do this it must conform to USPS guidelines. The USPS categorizes all mail by its ease or difficulty when it comes to processing. And accordingly postal rates vary accordingly. At the time prices begin at 34¢ and extend upward. Minimum size: 5 inches long by 3-1/2 inches high by .016 inch thick. Maximum size: 6 inches long by 4-1/4 inches high by .016 inch thick. Minimum size: 6 1/16 inches long by 4-5/16 inches high by .017 inch thick. Maximum size: 11 ½ inches long by 6-1/8 inches high by .25 inch thick. Any item smaller than the minimum dimensions is not mailable. 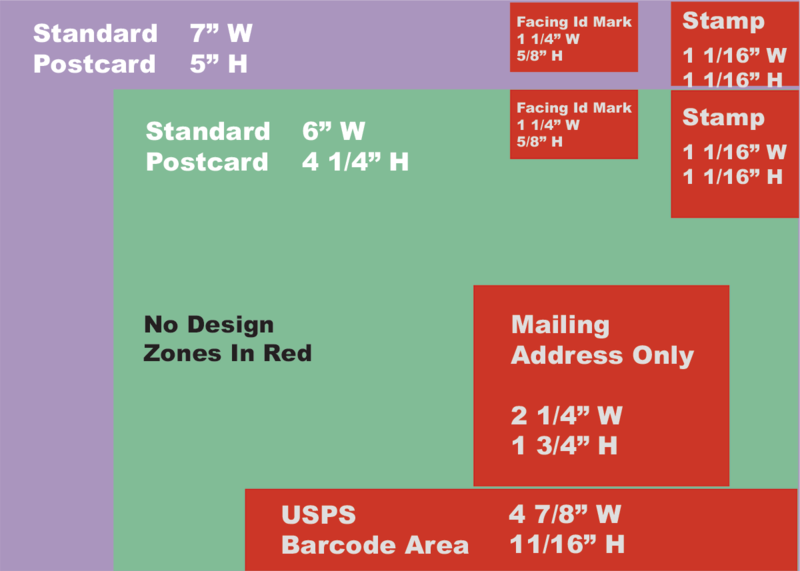 For postcards, length is the dimension parallel to the address. Postcards must be rectangular and be made of unfolded and uncreased paper or card stock. 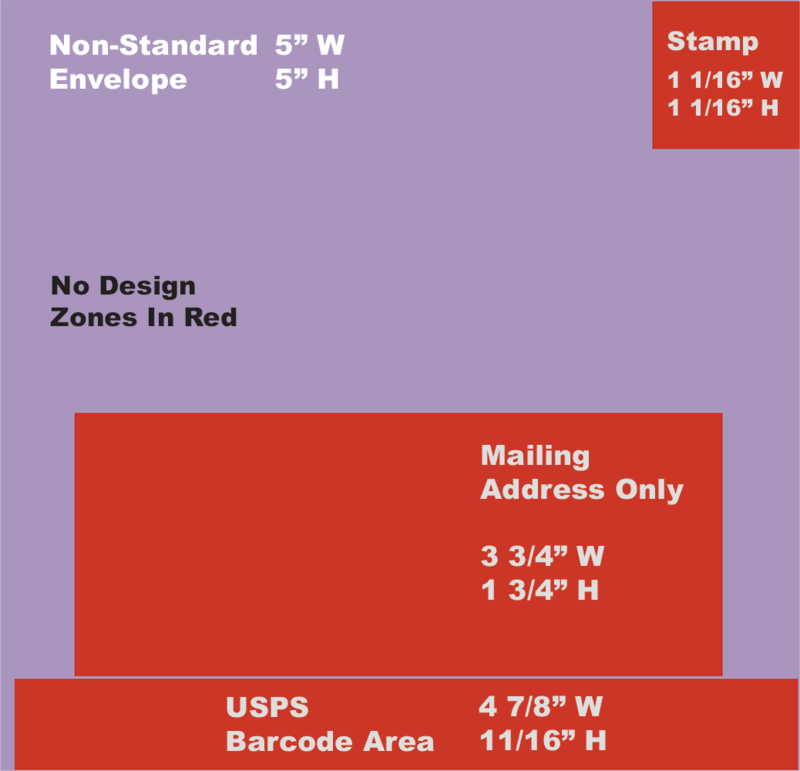 Large cards that exceed the maximum dimensions of a postcard pay the First-Class Mail letter, large envelope, or package price depending on their shape. Minimum size: 5 inches long by 3-1/2 inches high by .007 inch thick. Maximum size: 11 1/2 inches long by 6-1/8 inches high by .25 inch thick. Any item smaller than the minimum dimensions is not mailable. Letters larger in length, width, or thickness will be subject to large envelopes or package rate. For envelopes, length is the dimension parallel to the address. For letter-sized items over 3.5 ounces (0.099 kg), large envelope prices will be applied. Non-standard letters that fall between the standard minimum and maximum sizes that meet one or more of the nonmachinable characteristics below. It is a square envelope. It is too rigid – does not bend easily. It has clasps, string, buttons, or similar closure devices. It has an address parallel to the shorter dimension of the letter. It contains items such as pens that cause the surface to be uneven. The length divided by height is less than 1.3 or more than 2.5. The minimum size for a square envelope is 5 inches x 5 inches (12.700 cm x 12.700 cm). Square letters are subject to the nonmachinable surcharge. *The surcharge may exceed this cost depending on the letter's characteristics. Although there is no government agency dictating restrictions like on an envelope or a postcard, a letterhead also has design constraints in order to function properly to convey information well. A properly designed letterhead starts by determining the length, width, height, and placement of an average letter it will contain. Once that is established design elements can be arranged to correlate to the page margins and even align with information in the word-processed letter itself. When designing a letterhead it’s important to coordinate the layout, typography, and size of elements with the other parts of a stationery set, and with other marketing materials such as postcards, ads, a website, and even a portfolio. The good news about business cards is that they have no specialized space designations or restrictions. The bad news is that they are very small, and that they often contain more information than either a letterhead or an envelope. It all starts with the business card. Due to its size constraint, many designers begin designing a stationery set, by laying out the business card first. Then based on that layout, they design the letterhead and envelope to coordinate with it. 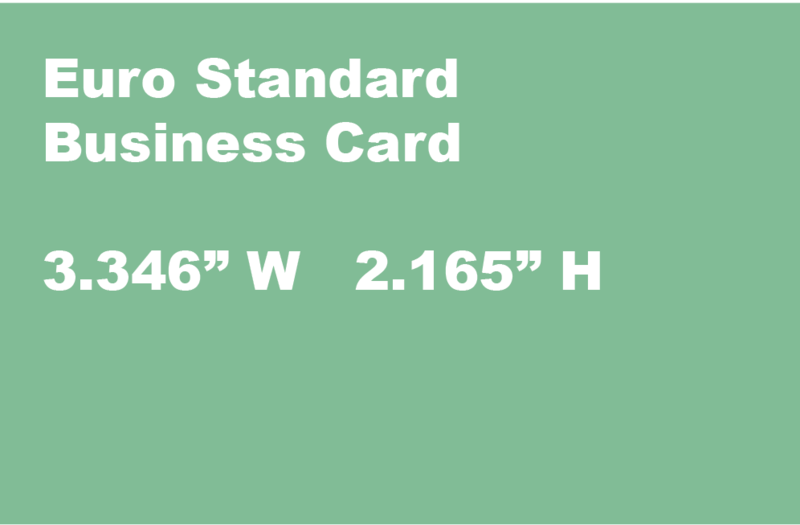 Presently, both US and Euro standard card sizes are used in the US.